If you have been injured in a work related accident, you may be entitled to workers' compensation or "workers comp." Our attorneys at the Charles Bean & Associates, PLLC, are experienced in handling workplace injury claims including industrial accidents, construction accidents, and logging accidents. Do Not Miss Deadlines To File Your Claim. Our Attorneys Can Make Sure That You Follow Procedures To Secure Compensation. If you have been injured on the job, there is an administrative process to file your claim. It is important that you follow the time periods to file notice of claim and the time requirements to seek medical care. Our attorneys can make sure that you are covered through a point of medical and financial stability. Your injury will most likely be covered by your employer’s insurance. In a workers' compensation claim, you can get total temporary benefits disability. Many issues arise over whether there was a work related incident, whether that incident is compensable, and whether injured employee had previous health issues. We can also help you ensure that your medical expenses are paid as well. If your treatment is complete, we can help you recover if the accident has resulted in any permanent partial impairments. Claims follow a code system formula in determining amounts to pay based on permanency. Additional benefits because of impairment to person if the effect is more disability beyond immediate loss. Often insurance companies will attempt to cut off medical care too early or cease wage lost benefits too early. Some insurance companies will fail to offer enough for a permanent disability or consider retraining as a viable option. Protect yourself with the representation of experienced workers' compensation attorneys. If you have been seriously injured and are seeking workmans compensation, contact Charles Bean & Associates, PLLC. Our attorneys are immediately available to discuss your personal injury claim and to provide you with a case evaluation. Workers’ compensation insurance is a no-fault insurance policy which provides medical benefits and wage loss to workers with job-related injuries or diseases. As a general rule, if you work for wages, whether your employer is a public entity or a private business, and suffer an injury or occupational disease that arises out of and in the course of your employment, you are covered by the Idaho Workers’ Compensation Act. I suffered an industrial accident but my employer has since fired me. Can I still maintain a workers’ compensation claim? What impact will my firing have on my claim? I have reported the accident to my employer but they refuse to file a workers’ compensation claim on my behalf. My medical bills and lost wages are mounting. What can I do? My employer’s insurance company maintains that my injury is “pre-existing” even though I have never had any prior symptoms and they have now denied my claim. What recourse do I have? The insurance company had me seen by one of their doctors who says I am fixed and stable and can be released to return to work with no restrictions nor any impairment even though my own doctor disagrees. Now all my benefits have stopped. How am I to obtain the medical care that my doctor recommends and provide support for my family? While my injury or occupational disease has stabilized, I have permanent restrictions now that prevent me from returning to work in my usual and customary job. The only other employment that I am able to find pays significantly less than my time of injury employment. Am I entitled to any further benefits? If you or a loved one has faced similar problems and are in need of legal assistance, please contact Charles Bean & Associates, PLLC. 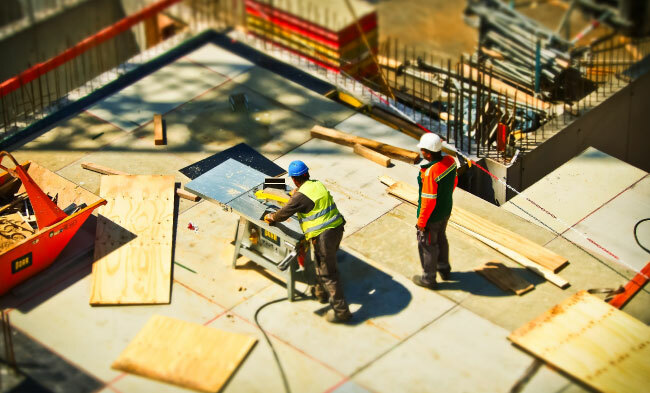 Our attorneys have nearly 50 years of combined experience in representing injured workers and will be happy to discuss your rights and obligations under Idaho’s workers’ compensation system. The initial consultation is free of charge and if we agree to handle your case, we will work on a contingency fee basis, which means we get paid for our services only if there is a monetary recovery of funds. Charles Bean & Associates, PLLC, is a Coeur D'Alene, Idaho personal injury firm serving clients in Idaho, Western Montana, and Eastern Washington. We take cases in Kootenai County, Latah County, Benewah County, Nez Perce County, Shoshone County, Spokane County and Clearwater County, including the cities of Coeur d'Alene, Spokane, Bonners Ferry, Sandpoint, Moscow, Lewiston, Orofino, Grangeville, Priest River, Pullman, and Colfax. If you are located in Eastern Washington, Coeur D'Alene, Northern Idaho, Panhandle, or Lake City please contact us for assistance with your workers compensation claim. We contacted this office to represent us in a state industrial case. Francis was hit on the head with a tree and suffered a broken back. You took our case and were very successful in obtaining a lifetime structured settlement for Francis. You handled this very quickly and with very little effort on our part. We would recommend you very highly to anyone needing an efficient lawyer. In 2011, I was injured in a logging accident. After medical treatment was complete, I found I was no longer able to work at the occupation I had worked at all my adult life. During this time I worked with the industrial insurance and as time went on, I realized I needed the assistance of an attorney. I asked around and an acquaintance recommended your office to me as attorneys that were good at dealing with industrial claims. You listened carefully to all I had to relate, then explained to me my options and possible course of action. You are very knowledgeable on the Idaho laws regarding industrial claims and explained everything in language that I could understand. I found you to be caring, thorough and patient. You worked diligently and won my case with the industrial insurance. I truly appreciate your expertise and dedication as my attorney. I do not believe anyone could have done more for me and because of your efforts on my behalf, my life is so much more enjoyable than it would have been without you.